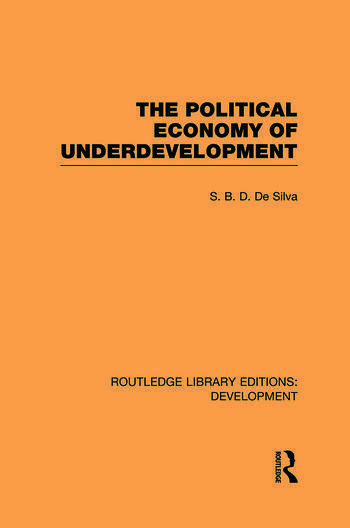 First published in 1982, this reissue deals with the theory of underdevelopment, as Dr. de Silva attempts a synthesis between the internal and external aspects of underdevelopment and, in the Marxist tradition, focuses on the impact of the external on the internal as the dominant reality. Viewing underdevelopment as a problem in the non-transformation to capitalism, this analysis is in terms of the character of the dominant capital and of the dominant classes. Underdevelopment thus encompasses the ‘traditional’ peasant economy and also the export sector where the ‘modernizing’ influence of colonialism was felt. The book finally considers how the contemporary internationalization of capital affected the economies of the Third World.